Ah, the good old days, when we were younger, able to do more, stronger, higher energy, and quicker recoveries from injuries. Then, age sets in and our bodies begin to change. Our energy levels drop, daily pain becomes a routine, our skin wrinkles and looses elasticity, our hair grays or maybe even falls out, our vision and hearing become impaired, our memories and thought patterns change. For most of us, as we age, one of the most valuable assets we have is our health and often, we are desiring what we used to have maybe five, ten, or even 20 years before. Can we re-acquire our youthful health and increase our longevity? Is it possible to turn back the clock? Well, I’m in that over 50 group, so this is a desire that I have as well. Let’s see what science and experience tells us. 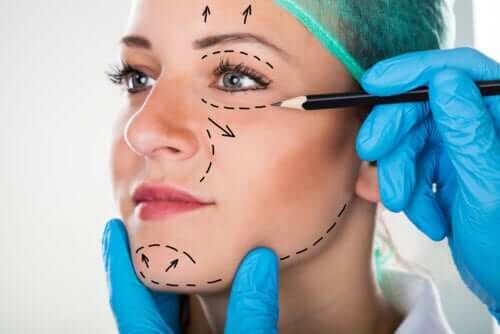 Turn on your television and there are often endless commercials for ‘anti-aging’ creams or cosmetic surgeons willing to turn your clock back, at least cosmetically. Then there are anti-aging clinics that often focus on hormone replacement therapy (HRT), which is yet another step in the quest for re-acquiring your youth. While these therapy options are a billion dollar business, in most cases, they are rarely a true solution and only a cosmetic or superficial ‘fix’. So, is it possible to truly turn back the clock? Can you reverse what has been done and rebuild your body? Or is it all a hype? I turned 50 this past year which is a major milestone for most people. Being a veterinarian, I’ve worked on cattle and horses for a good portion of my life and this can take a major toll on your body physically. I’ve had 2 major back surgeries in my life, ironically before cattle and horses entered it, and have had a diagnosis of stage II cancer which was refractory to traditional therapies. Throughout all of this, I’ve survived and grown stronger, and I’ve learned a lot about myself and health. My current quest in life is to learn and acquire knowledge, for there is much there for the asking. I research medical articles, focusing on nutritional and herbal therapies, and often implement on myself and our research horse herd to evaluate benefits. I am well versed and certified in Traditional Chinese Medicine (TCM) and as a result make connections between TCM and research results. It is all very interesting and over time, I’ve come to realize there is a lot of information and many approaches that could be of huge benefit to the average person, but with that, each person is an individual and needs will vary. In the end, here are my thoughts as of this point, which I implement into my daily routine in attempt to turn back my own clock. There is a simple law that is present in an around us at all times, which I do believe in, and that law is the Law of Attraction. Simply put, you attract what you think about. If you believe there is a lack of something, albeit health, money or attraction, then that is what you will experience. This Law of Attraction coincides with the popular concept of positive thinking. It is an easy concept to agree with and acknowledge that it exists, but not one that is always easy to implement. Acknowledging that this law exists is the first step and then over time, you can become more aware or conscious of what you are thinking. As you accomplish this, then you can make connections between what you have been thinking and what is being revealed in your life. Negative thought patterns more often than not equate to negative outcomes. Live in fear and anxiety, then you will likely receive more of it. Positive thought patterns more often equate to positive outcomes. This positive thinking or law of attraction applies to your health, in addition to everything else in your life. Have you ever encountered a person that literally ‘willed‘ a cold out of existence in their body? I have. It has been said that more often we fear not which we are incapable of doing, but more so fear what we truly are and the inherent potential that lies within each of us. I believe in the power of the mind and have read countless articles on the subject, often dating back centuries to clinicians who healed patients indirectly through these inherent powers. Our minds are tightly connected to every facet of our health, due to neurological connections and hormonal influences. It stands to reason that you could quite possibly change your well-being with just a change of thought. Hard to believe? Not really. All you have to do is observe the many people that you interact with at work, at home, socially, or just in the grocery store. Talk to them, even if you don’t want to. Let them talk and most times, they will open up the discussion to their health, the misery in their lives, their pains, and the countless medications that they are on. Many will note how many times they have been to the doctor, but yet, have to go again and again, because nothing is helping. Some people will seem completely hopeless. Listen to them and take note of their mental approach and their current situation. Then, do some research on cancer patients that have acquired complete remission of their diseases, often with no intervention medically. Some fascinating stories there indeed, but the one main connector is the positive mindset that each of these people adopted. Of course, the other things on my list were also part of their daily regimens, including diet, exercise and herbal therapy. But, the positive mindset was critical and a common denominator to all recorded patients. If they didn’t believe in themselves, they believed in something, and that something would render them completely healed…and for many, it did! I would recommend the book Radical Remission, which profiled many cancer patients, their recoveries, and common approaches. The bottom line? Your mind often dictates your health. If a person can heal cancer and recover completely, then in my book, anything is possible as this disease is considered ‘incurable’ by most in the medical field. If they can recover from cancer, then you can recover from almost anything that is holding your body back, IF your mind is on board and focused. Don’t let anyone tell you different. Exercise has an obvious impact on health, whether if that is physical or mental, as it impacts both and it has a direct connection with a positive mindset. In order to undertake an exercise regimen, whether if you are attempting to just lose weight or restore your youthful musculature and strength, there must be a positive mindset in place. Without that positive mindset, there are often no goals, and the regimen inevitably fails or is short lived. Many people live active lifestyles and have a job that keeps them moving, but for many others, their lives are spent sitting at a computer or behind a desk. Exercise and movement is critical to our health. There is the old adage ‘if you don’t use it, you will lose it‘, which is very, very true. This applies to our mind, but also applies to our muscles and bones. The more movement you have, the better your blood circulates, the more efficient your heart and lungs become, joints stay flexible, bones become stronger, cell function becomes more effective, sugar metabolism is more regulated, inflammation is reduced, and even your digestive function is enhanced. All benefits from exercise and this exercise does not have to be restricted to free weights in a gym with a membership. It can be a simple walk each day, a jog around a park track, yoga, or other aerobic exercise. The bottom line is that our body, I believe, was meant to adapt and overcome. Exercise provides a means of stress to our body and over time, if done slowly, the body begins to adapt. Cellular changes begin to take place within our bodies which is really a sort of regeneration, which can allow us to regain some of our youthful tendencies. I’ve always thought my chosen career was an active one, going from one exam room to the next, working on horses or cattle and constantly on the go. The reality was that my body adapted to that and then stopped. The challenge or stimulus was not present to move it further and when coupled with a busy lifestyle type of eating patterns and mental stress, I soon crashed. Having a busy lifestyle does not always equate to proper exercise, which stimulates us mentally and physically. During the typical 8-hour workday, most of us may be busy physically, but we are under huge amounts of stress which is a very negative thing. So, for me personally, exercise is a daily part of my regimen, whether if that is free weights, bicycling, or doing yoga. It has become a routine and when I get out of this routine, I feel it and crave the next opportunity to get my ‘fix’. I think it is one of the biggest facets of my daily regimen, helping me to feel stronger most days, than when I did in my 20’s. I’ve learned a lot over my career and most of it has been a result of failure in my own health. Whether if it is trying to manage chronic back pain associated with repeat surgeries years ago, or recovering from cancer, they’ve all been factors that pushed me to learn more. One huge player that I have come to discover is nutrition and indeed, we are what we eat. In my youth, I ate almost everything which was mostly fast food and processed items or junk food. This extended into my college days and post graduation into true adulthood. When in clinical practice, our days were so busy, often there was no breakfast or one filled with processed carbohydrates, lunch was a trip through a drive-thru window, and dinner was a quick fix. I look back and wonder what I was thinking and realize that my cancer diagnosis was my own creation. Nutrition is paramount to our health and often interconnects with use of herbs, as most herbs are also either considered true foods or are direct sources of micro- and macro-nutrients. The fact is that our body needs fuel to function, produce energy, heal, and recover. Most of us, including myself years ago, are not providing this simple measure for our bodies, yet, our bodies continue to plug forward. We may feel like junk, be sluggish, in a mental fog, and overall lose our zeal for life…yet we keep doing what we are doing and keep eating what we are eating. We toss back a tablet or two of a vitamin-mineral supplement and feel we have done our job. At some point, our body, the incredible machine that it is, will fail and breakdown. Simple logic. Then, when our body does fail, the vast majority of us seek a pill, injection, or surgery to fix what is ailing us, instead of making true change. The food you put into your body dictates what comes out of your body. Not just in waste material, but the level of energy produced, your immune function, recovery and healing. That chosen diet is not only the source for nutrients, including vitamins and minerals, but also the source for other very important substances including fiber, antioxidant compounds, and other phytochemicals including hormone precursors. There are many perceived experts on the television or online that preach the benefits of whole-food nutrition, but really, it is not rocket science and you do not need to pay an expert to tell you what to eat. All you have to do is explore, read, and discover. Look at blueberries, for example and the nutritional benefits they tout. Then look at the purple pigments that they possess, due to the anthocyanins, which research connects to numerous health benefits including antioxidant and anti-inflammatory properties. In addition, look at the data on blueberries, inherent fiber, and their prebiotic capabilities. This can have dramatic influences on your gut microbiome, which is in itself, very tightly connected to your mental and physical health. You are not going to get those benefits from a box of commercial cereal or a quick trip through the drive through. My diet and that of my wife has changed dramatically over the past 5-6 years. Although we still crave the items that we once consumed on a daily basis, we quickly realize that if we did eat those items, it would be very much regretted the next morning. We still indulge now and again, to a very minor degree, but more so it is perceived as a reward for our efforts the other 98% of the time. The food you eat will dictate your health and there are many research papers available online noting not only the benefits of a whole-food based diet, but in many instances, there are papers noting complete recovery from many health conditions. At the very least, in most health conditions, a change in the diet usually results in a lowering of a need for prescription medications. This is one huge step forward for most people, but a change in that diet is one of the most difficult things to do. Herbs are a huge part of my personal health regimen and provide numerous benefits to my overall well being. Many make herbs very complicated in their usage, when really they are not as complex as what we make them out to be. There are many ways to take advantage of herbs, which can be done either directly as in a powder form mixed with a smoothie, or used in cooking recipes and sprinkled on foods or sauces. Either way you go, there are many benefits. The bottom line with herbs, if you look deeply into research, is that most possess antioxidant and anti-inflammatory properties. These benefits can translate into improved bone health, joint health, circulation, sugar and insulin regulation, immune function, and even improved cognitive support. The reason being is that most of these health conditions are tightly connected with altered cellular function, as a result of both inflammation and often oxidative stress. Of course, there are many details to each condition, involving all sorts of cellular signaling patterns and protein release, but more often than not, each is linked back to inflammation and oxidative stress damage. Now, with that being said, we have two main cultures that utilize herbs as part of their traditional medicine approach to health. These would be Ayurvedic and Traditional Chinese Medicine, which are both considered to be the forefathers to proper herbal use and therapy. In both of these cultures of medicine, herbs are used as a means to ‘balance’ the body and promote health. In Ayurvedic medicine, individuals are assigned doshas, based on their personality or body constitution, which are Vatta, Pitta, and Kapha. Disease, in Ayurvedic medicine, is perceived to take place when there is a lack of balance between the doshas in the individual. In Traditional Chinese Medicine, (TCM) there are five major constitutions and organ systems correspondingly which are the heart, spleen, lung, kidney and liver. Then they assign 5 most essential substances which include Yin, Yang, Blood, Qi, and Essence. Again, disease is perceived to take place in the body when there is a lack of balance between these organ systems or a state of deficiency or excess. I, personally, am more familiar with TCM than I am with Ayurvedic medicine, as this was a particular course of study that was pursued many years ago to benefit myself and my patients. The bottom line, at least in my opinion, is that most herbs provide benefits when it comes to inflammation and antioxidant support, but not all herbs are suitable for each person or animal. The reasoning revolves around the person’s body type, their constitution, and states of deficiency or excess. Herbs have ‘energy’ qualities to them with some being hot, warm, neutral, cool, or even cold in their nature. As an example, there is the herb or spice cinnamon, which is very warm if not hot in quality. Although it demonstrates antioxidant and anti-inflammatory properties, and even has the ability to assist with sugar metabolism in your body, it would not be suitable for a diabetic that also tends to overheat and has ongoing high blood pressure. This person would likely benefit from an herb with similar qualities, yet is more cooling in nature. Looking at Chinese medicine, as we age, many of us develop deficiencies and excess conditions in our bodies, which then pushes the degenerative process further along. The 5 essential substances, as I call them, are critical to our well being. As we age, our skin becomes less elastic, wrinkles and often thins in nature. Our bones become weaker and often ‘lock’ up or become stiff. Our vision and hearing are often compromised as well. Our energy levels drop, many become anemic, and generally lose vitality. These are all signs of deficiencies related to Yin, Qi, and Essence. A normal part of aging, granted, but yet, something you do have control over to an extent which can be supported and potentially minimized by choosing the right foods and herbs. It is actually pretty neat to see the response when all factors are put into place. Outside of Ayurvedic and Traditional Chinese Medicine, there is a tremendous amount of research on various herbs, their influence upon inflammation, oxidative stress, sugar metabolism, neurological function, immune health, and cellular regeneration. Some herbs are noted to directly impact damaging effects upon our DNA, which is huge, as this could potentially help us to not only prevent or minimize clinical problems, but also open the door for recovery. The bottom line with herbs is that they are all valuable in their own time and place. Not every herb is suitable for every person and every herb possesses an energy to it, which may not correspond to every person. Getting a better feel for herbs, their energies, and their capabilities can go a long way for your overall health. Is it possible to reverse the aging process and regain the youthful attributes we all desire as we progress in our years? My experience tells me the answer is ‘yes’, but there are many factors involved, namely having a willing participant or patients. This is a critical factor and often one that I could not get around as a veterinarian. In many cases, I would have a patient that was responding very well clinically, but the owner and their mindset got in the way of our continued progress. The research that I have read over the years, and countless cases of horse rehabilitation that I have assisted with, tells me the answer is ‘yes, we can reverse or at least dramatically benefit many age related degenerative processes’. In my world, I read, research, and then apply, often having some pretty incredible results which are denied by those around me. The capabilities are there and the possibilities are endless. The question is how far do you want to go? Taking Control of Your Health- It Can Be Done!